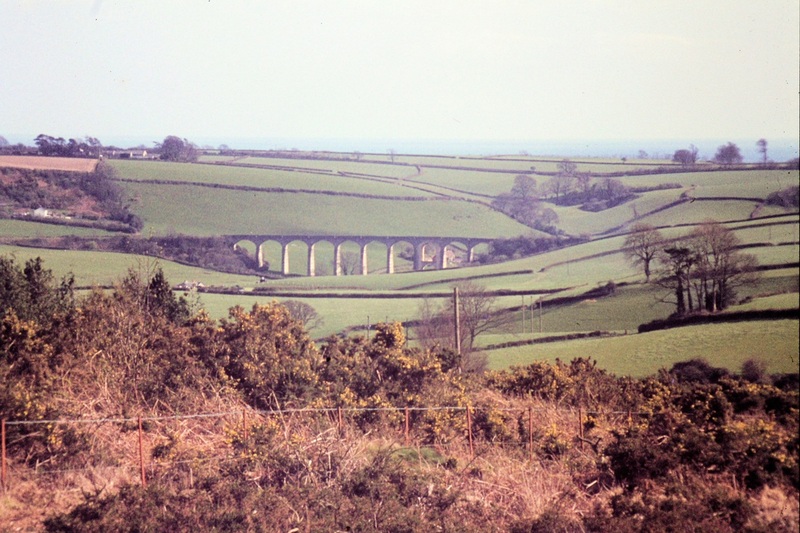 Quote from Wilkipedia The Lyme Regis branch line was a railwaybranch line connecting the seaside town of Lyme Regis with the main line railway network at Axminster, running through picturesque rural countryside on the Dorset - Devon border. 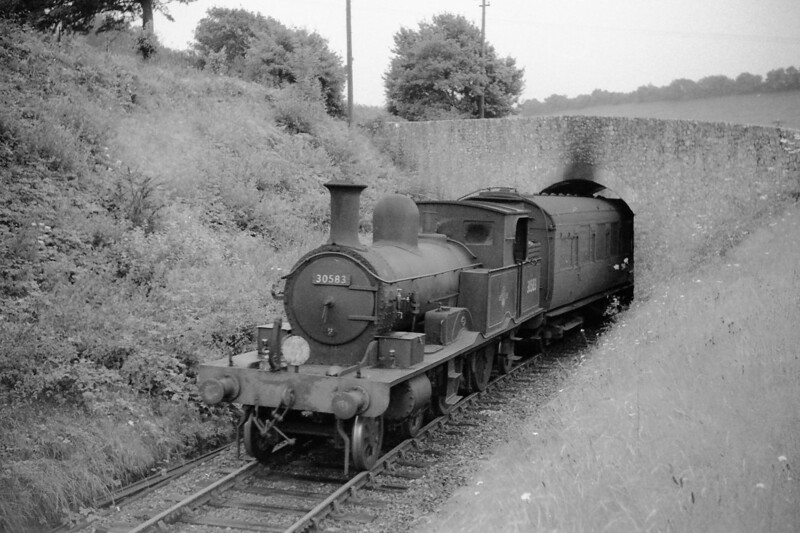 It opened in 1903; penetrating difficult topography, the line was very steeply graded and sharply curved; on summer weekends high passenger levels were carried, with through carriages from London on many services. 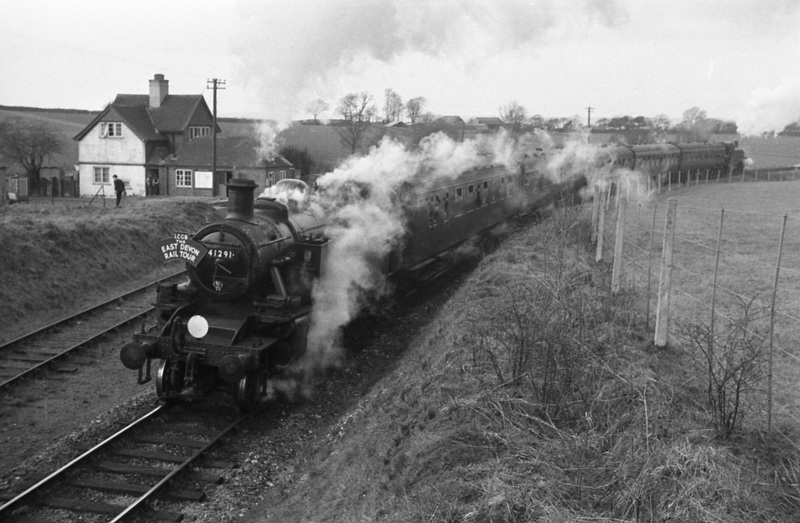 The line achieved high levels of interest among railway enthusiasts in later years because a veteran type of steam engine, the Adams 'Radial' tank 4-4-2T locomotive, was used to handle this traffic; this engine class survived long after the type had been superseded in its original area of use in the London suburbs. 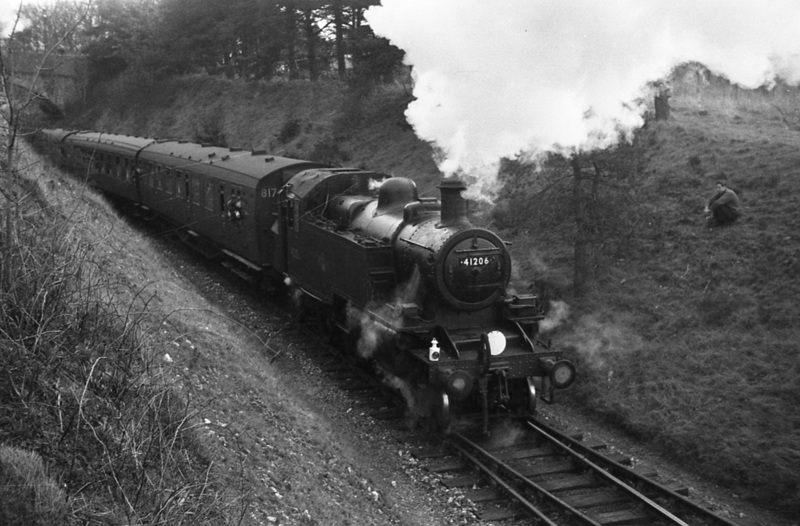 With the decline in usage of rural lines, the branch closed in 1965. 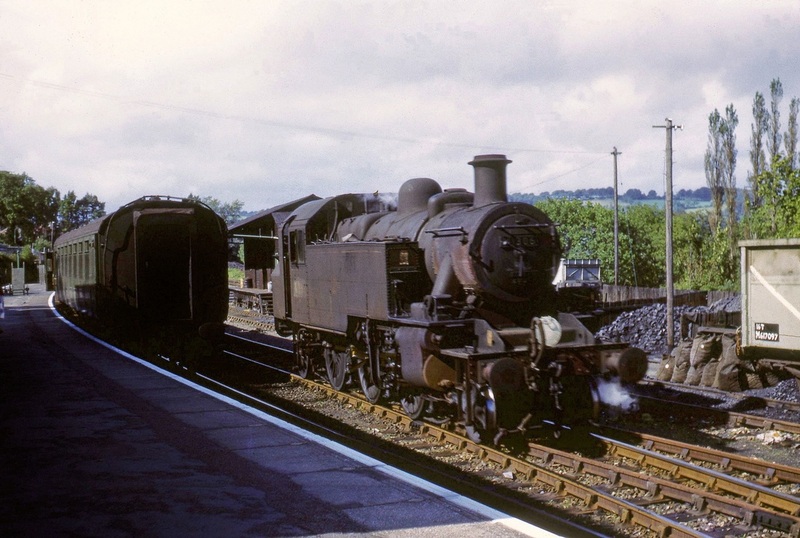 M_BR_41206_Lyme_Regis_7-3-65 L:CGB: East Devon Rail Tour 7/3/65 Ivatt 'Mickey Mouse' 2MT 2-6-2T's nos. 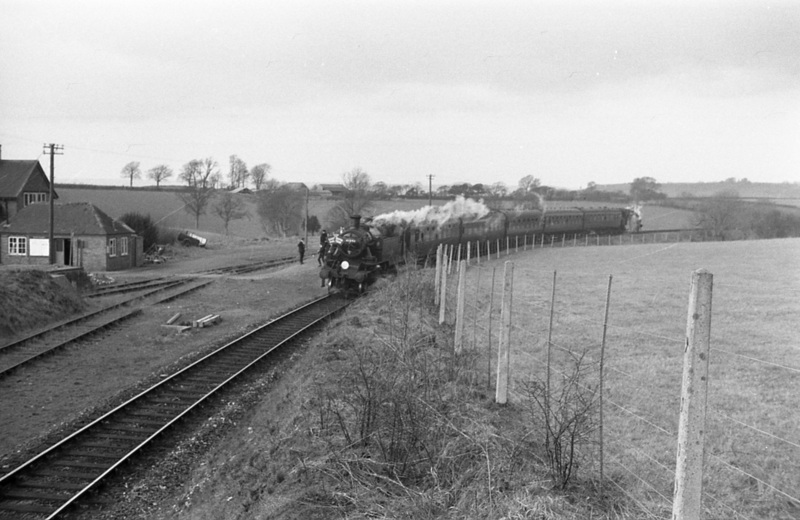 41206 and 41291 top and tailed this leg of the tour on the Lyme Regis branch. 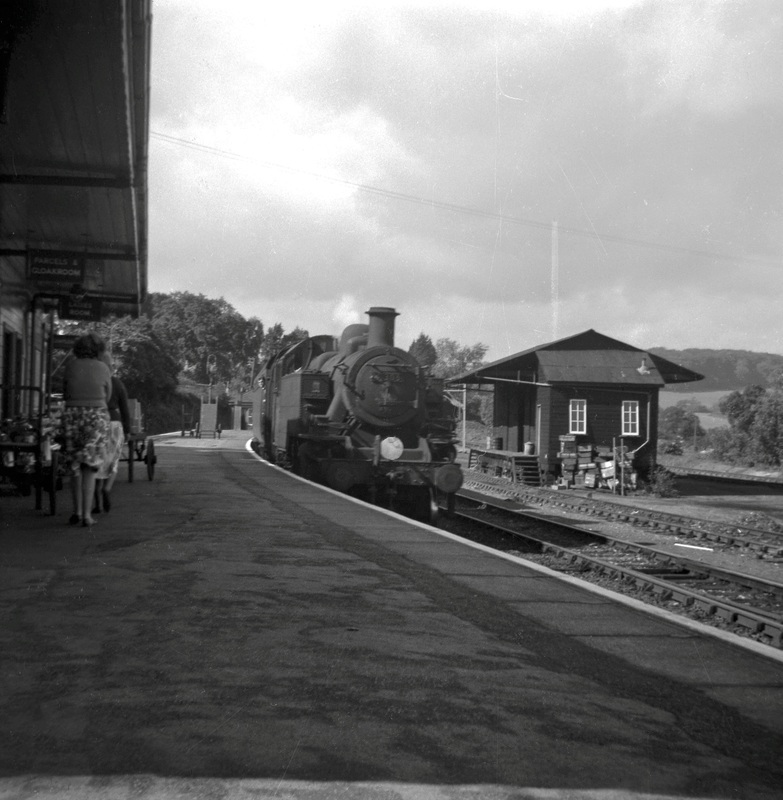 Here we see 41206 at Lyme Regis with 41291 visible at the rear of the consist. 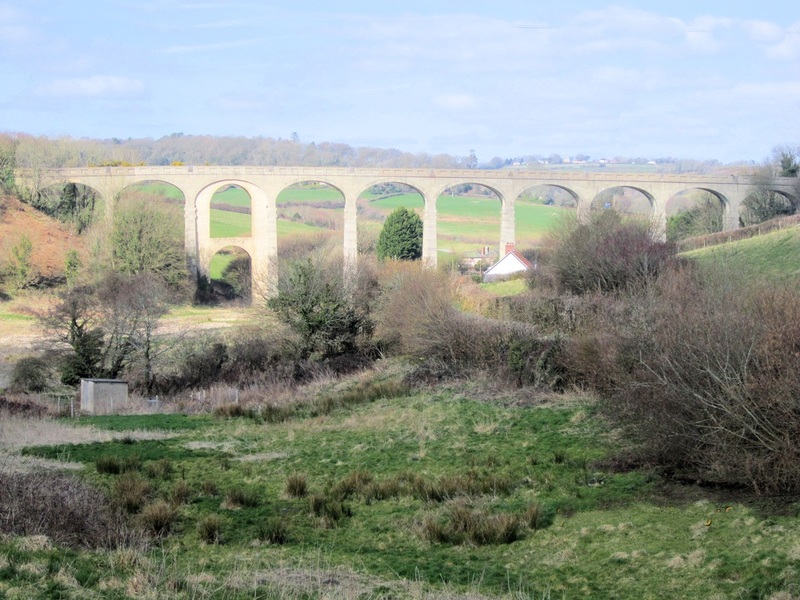 Cannington Viaduct In March 2015 Mike Roach visited the viaduct locality. 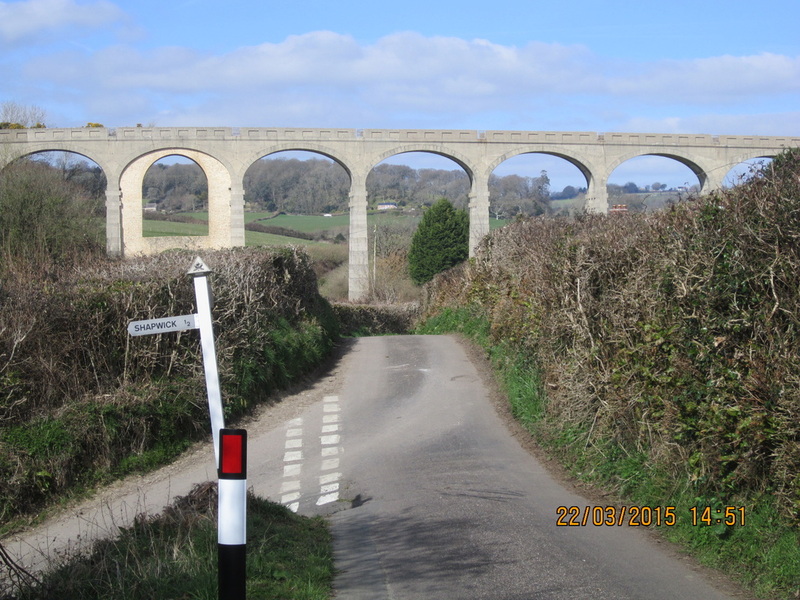 Here is his report and pictures. 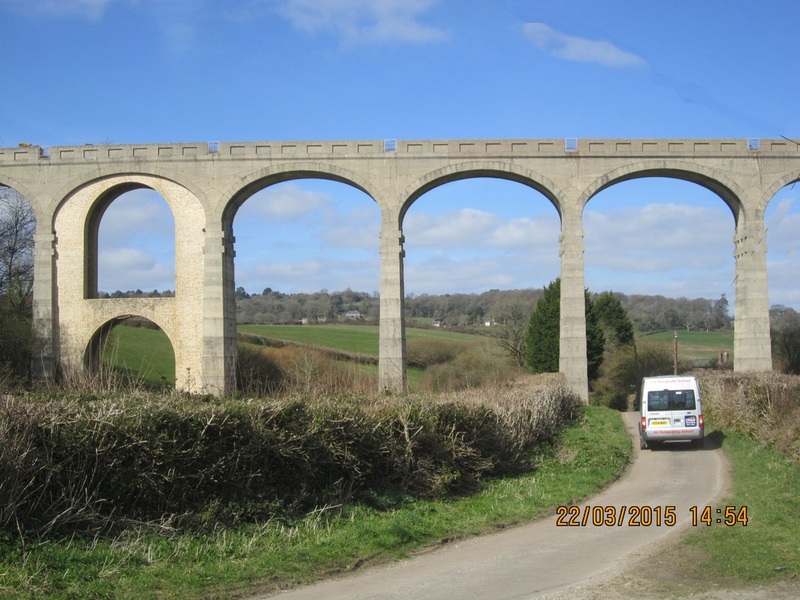 Its made of mass concrete construction like the more famous Glenfinnan Viaduct. 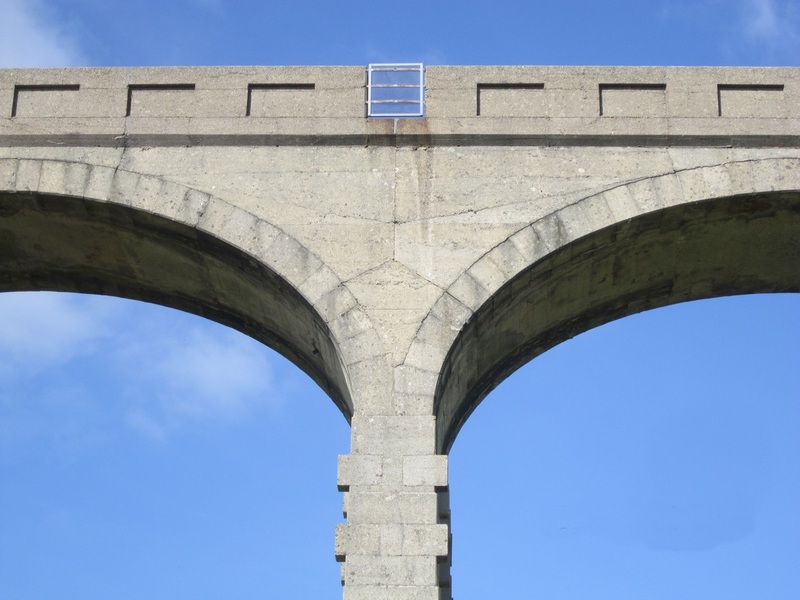 Mass concrete means there is no steel reinforcement in the concrete. 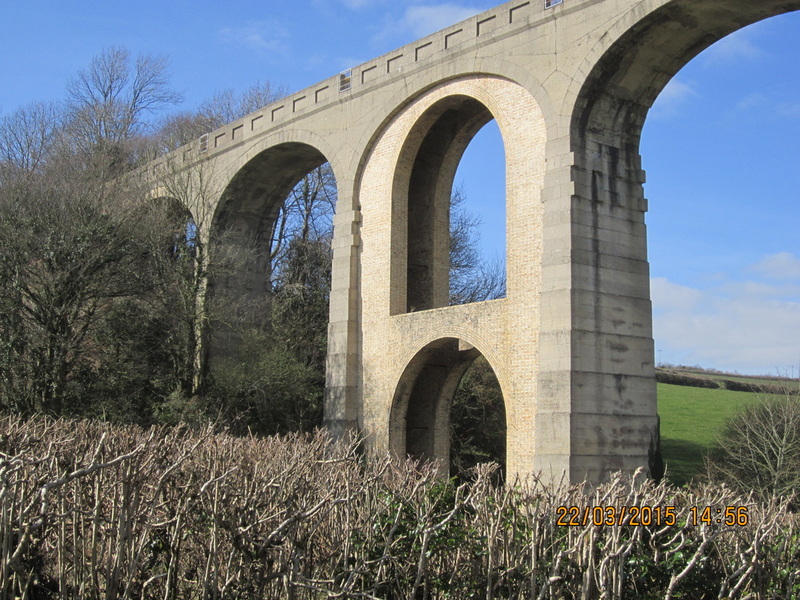 It is not immediately obvious from a distance that the strengthening arches for span 3 are only about one metre wide each side. 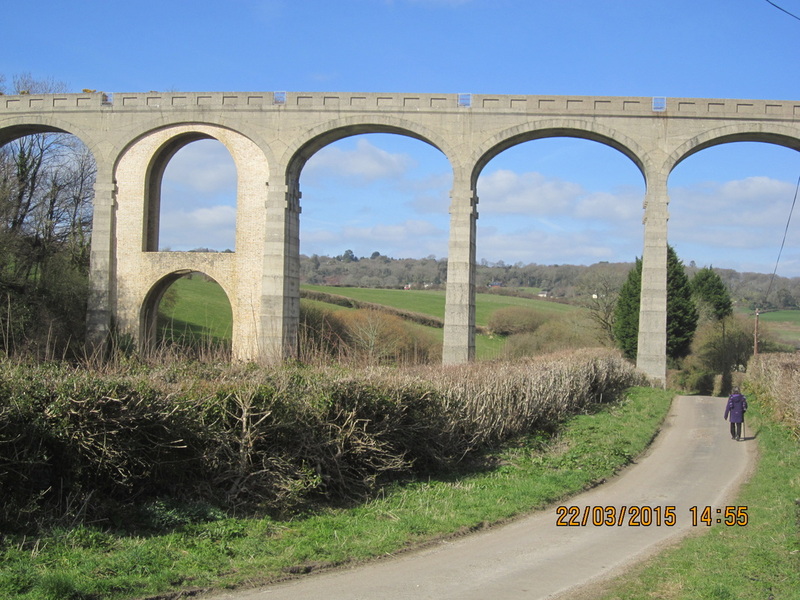 They were added at the time of original construction. 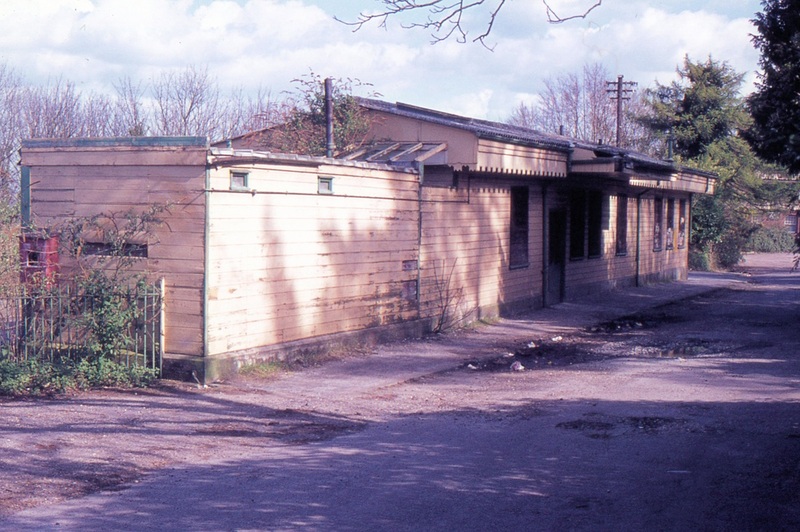 It is rumoured locally that it may have to be demolished because of deterioration. 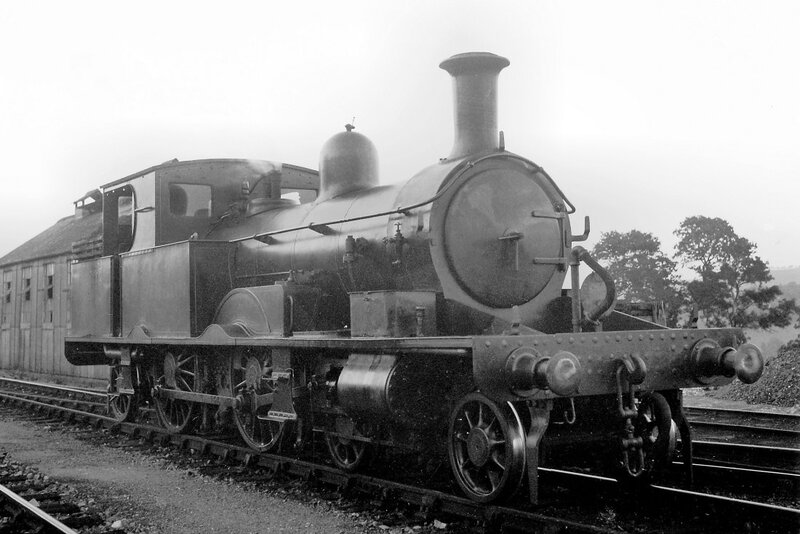 S_BR_30583_Lyme_Regis-1 Former LSWR Adams Radial 4-4-2T no. 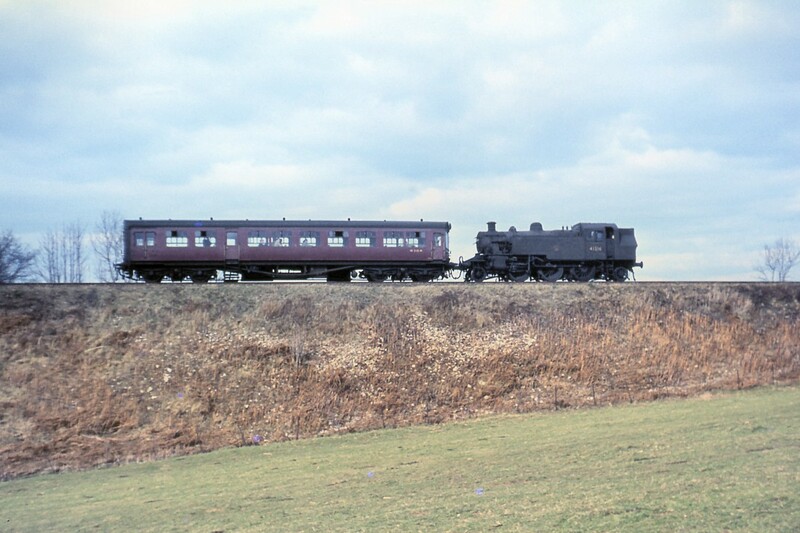 30583 on the approach to Lyme Regis. 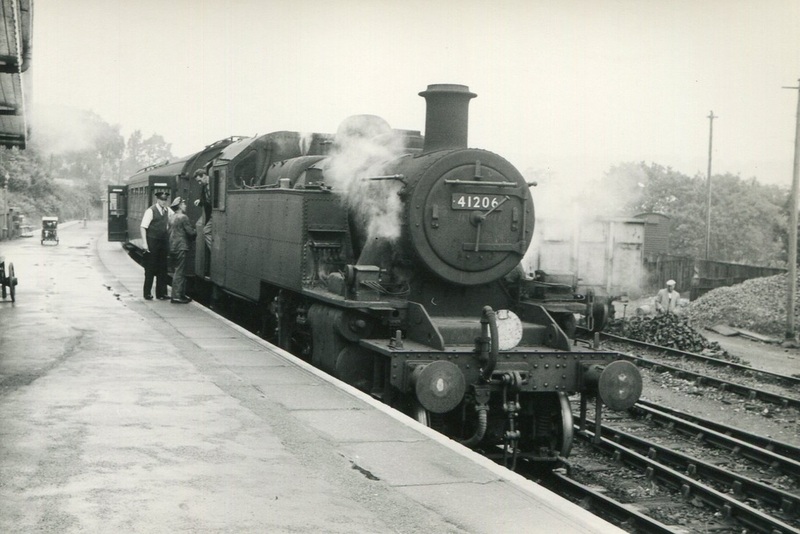 This loco was sold out of service to the Bluebell Railway following withdrawal in July 1961. 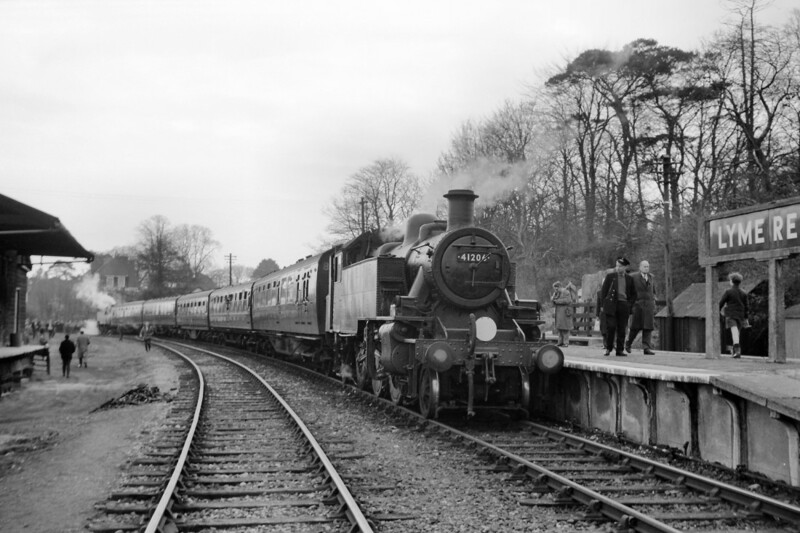 The Bluebell restored 30583 as LSWR 488 and I remember it well as the Bluebell was not a great distance from home in the 1960's and early 70's. 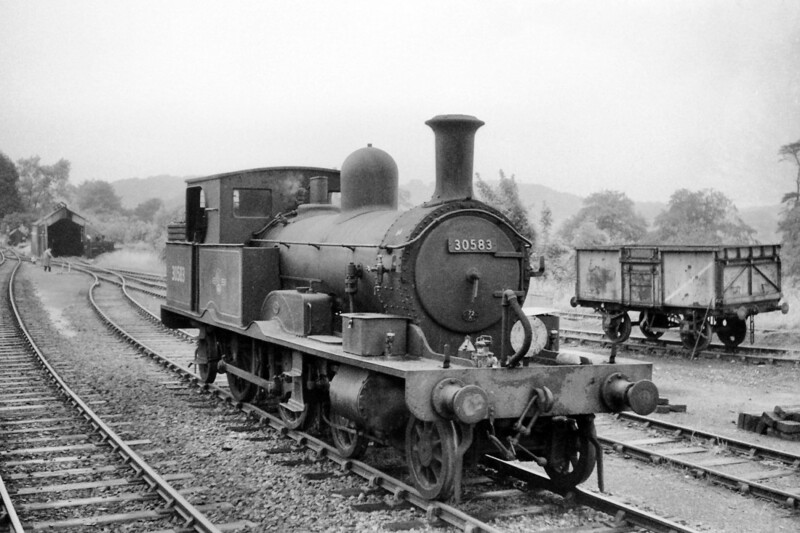 S_BR_30583_Lyme_Regis-2 Former LSWR Adams Radial 4-4-2T no. 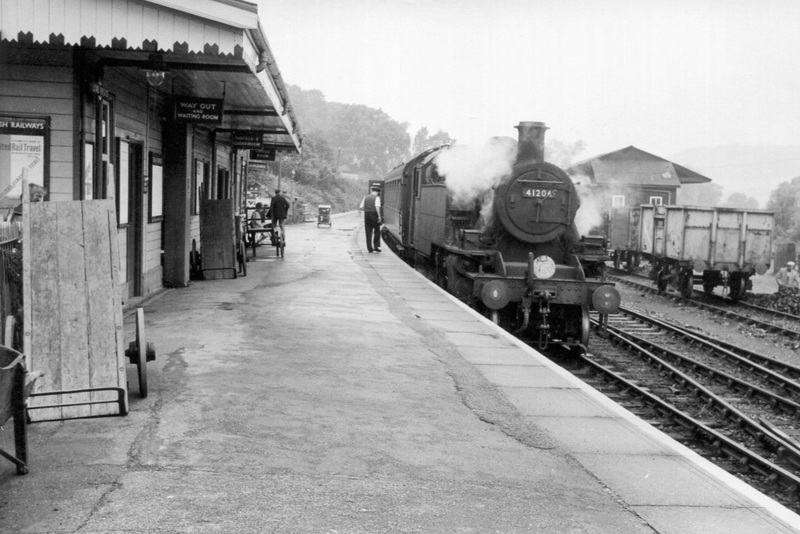 30583 at Lyme Regis station. 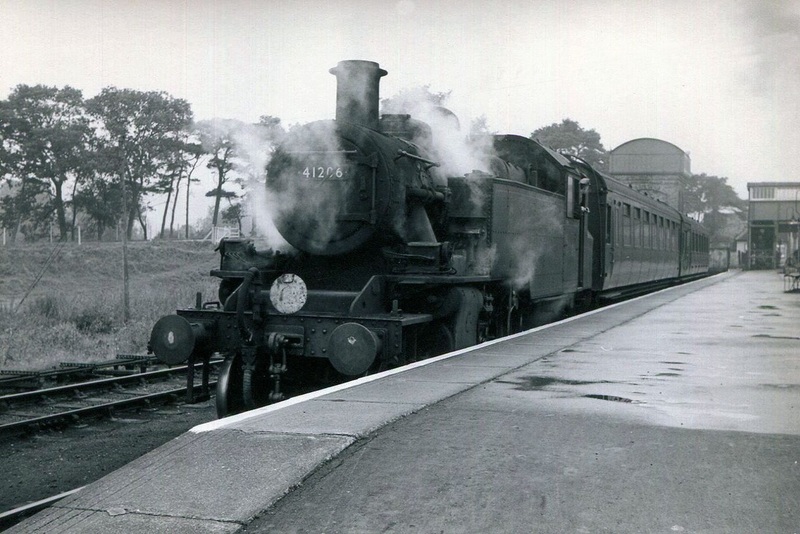 This loco was sold out of service to the Bluebell Railway following withdrawal in July 1961. 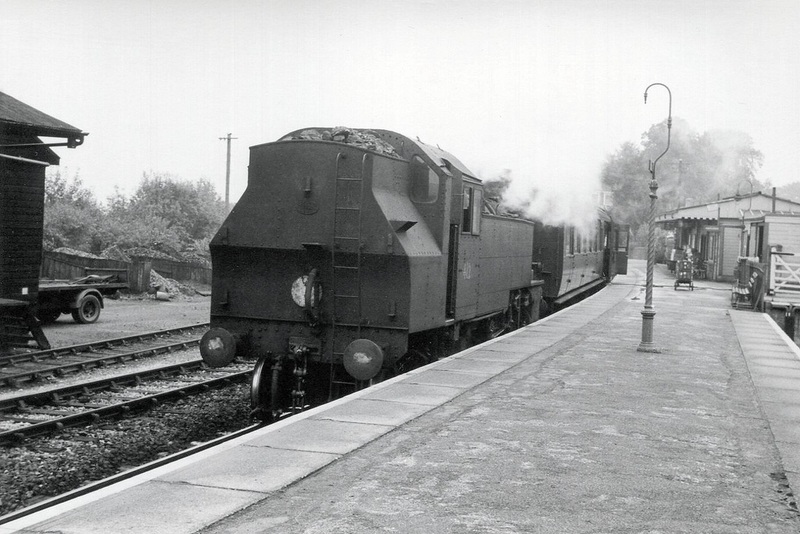 The Bluebell restored 30583 as LSWR 488 and I remember it well as the Bluebell was not a great distance from home in the 1960's and early 70's. 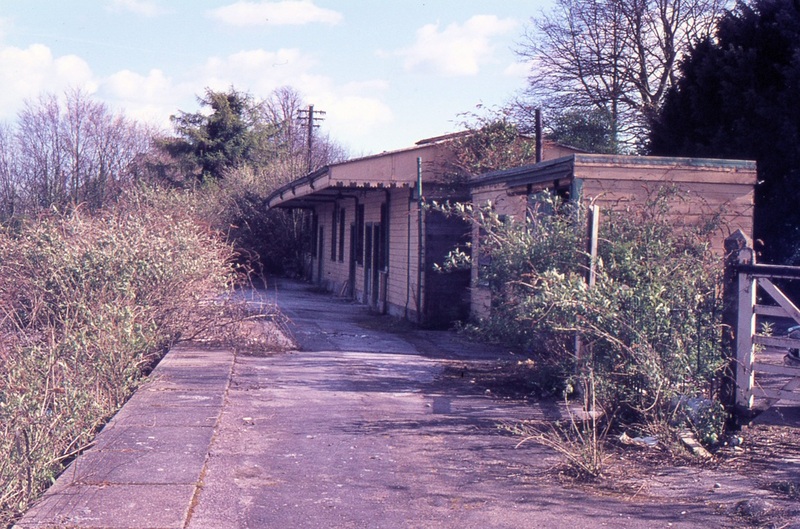 The utter ruin of the station area. 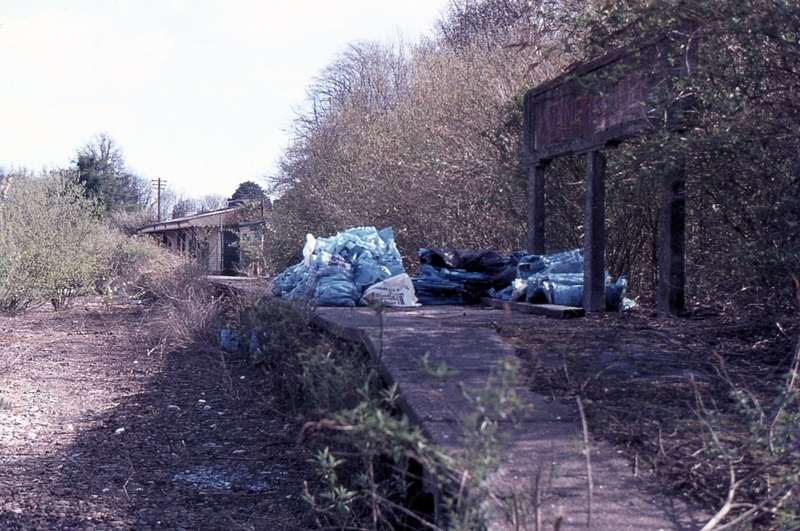 14th April 1977 Copyright Roger Winnen A close inspection of the nameboard shows it to have been vandalised.